I'm in Manila Philippines right now. Mixing family, friends and a little business. Welcome to the War Zone! They celebrate New Year very differently here. 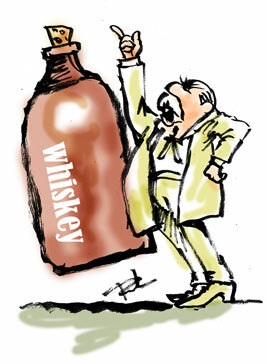 Recently one Congressman from a Bible Belt congressional district was asked about his attitude toward whiskey. The politician responded, "If you mean the demon drink that poisons the mind, pollutes the body, desecrates family life, and inflames sinners, then I'm against it!"